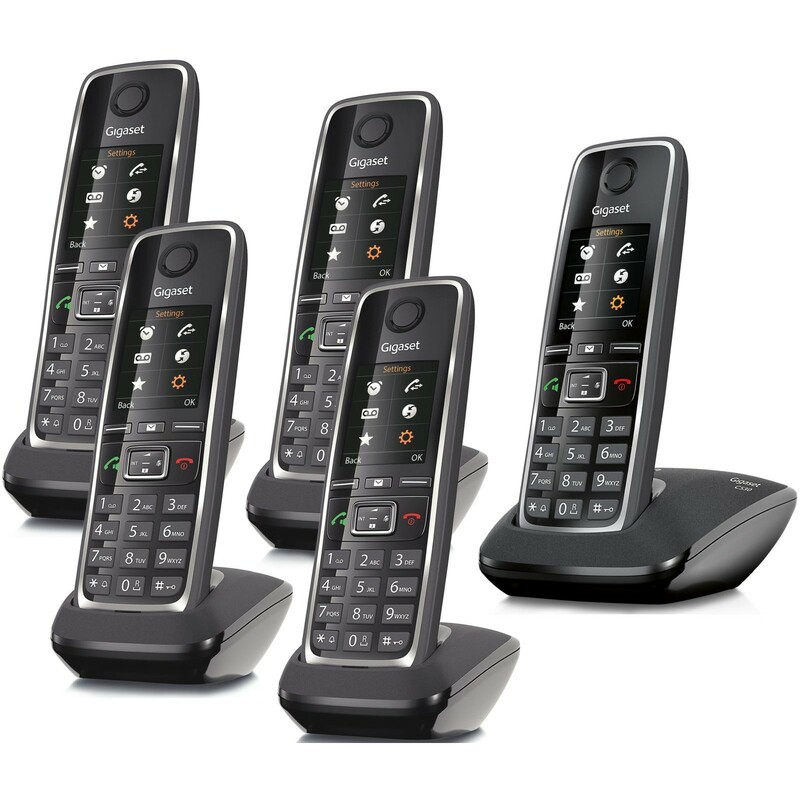 Designed with both usability and personalisation in mind, the Gigaset C530 cordless phones help you more effectively manage your busy lifestyle with a customisable interface, innovative call management features, dependable range and the ability to function as a baby monitor. 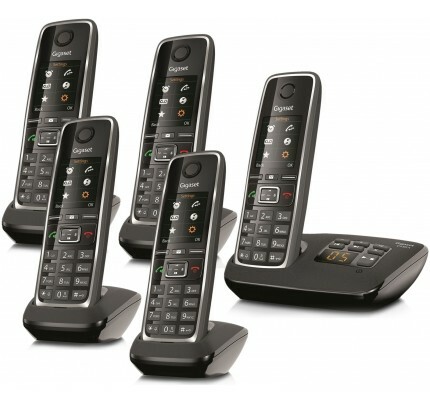 Sporting a cutting­edge look and packed with Gigaset's latest technology, the Gigaset C530 offers a vibrant backlit 1.8" colour display. Designed to help simplify a busy lifestyle, it also features an address book with storage space for up to 150 contacts, allowing you to phone your friends and family and other frequent contacts with just a couple of button presses. If you're tired of being inundated with nuisance phone calls from sales representatives or other unwanted callers, you can have the phone automatically silence any anonymous numbers. Similarly, you can group your contacts by assigning ring melodies to them so that you will know who's calling without even having to look at the screen. Featuring large on­screen fonts and vivid icons, the display is a pleasure to use, and the phone can even function as a baby monitor. The C530 also helps you to keep your life organized by programming in birthdays and other important events so that it can remind you when they come to pass. In addition to your own personalised calendar, you'll be able to track your most recent phone calls and redial numbers with ease. Designed to be personal and also functioning as a cordless baby monitor, this set of four Gigaset C530 handsets is most suitable for larger family homes with young children.